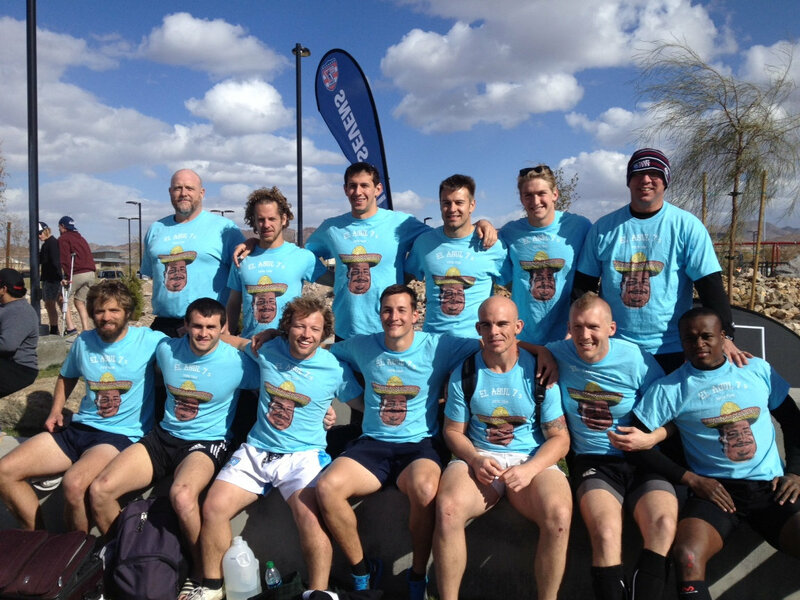 February 7th through 9th, 2013, Azul 7′s Rugby team competed in the international Las Vegas Invitational (LVI) rugby tournament. Azul was invited to compete in this year’s premier club bracket, the Aces division. 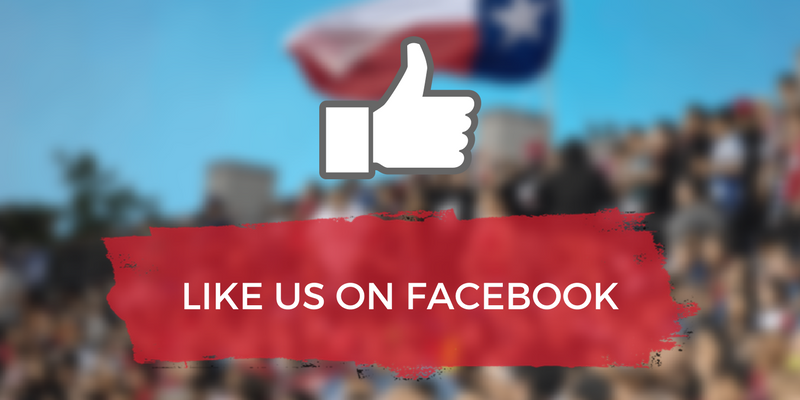 Azul stems from the Austin Huns Rugby Club providing a core of 7’s specialists while filling additional spots with top athletes from around the Country. 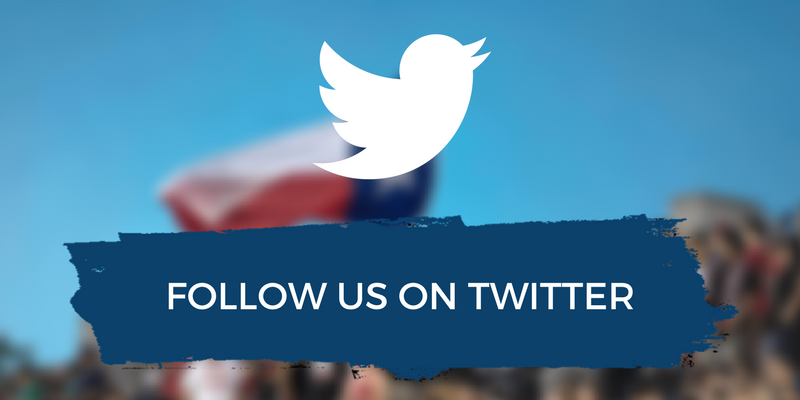 Azul sponsors all types of American players for developmental and competitive initiatives. Azul dropped the first game at 8a on a very cold morning 17-5 to a pernnial favorite and competitive and structured Denver 7′s club made up predominately of players from the Denver Barbarians Rugby Club. Throughout the match, Austin Hun & Texas All-Star Pete Kanicki displayed his work rate effectively making multiple tackles and challenging well at the break down. Coach Landry worked out the positioning and structure to bring Azul back to a dominating 24-7 win over a very good Okanagan Heat team from Canada. Kevin “Grubber” Garbis was a stand out in the game, providing an extremely busy work rate on defense while dotting down 3 tries using solid fiends to finish each scoring run. Former NCAA basketball player and now standout Rugby player from Principia College, Naveed Hosseinmardi, gave solid minutes off the bench tackling well while effectively utilizing his height and basketball skills in the line-outs. On day two, Azul came up against a large and athletic Palmer College of Chiropractic in the last pool game. The game was fast, fierce and heavy-hitting lead by Chicago native Kevis “Grubber” Garbis, but the faster Azul squad led by South All Star standout and pure finisher Mu Cabbell won beating Palmer with swarming defense and unmatched speed around the edges. Former Texas Collegiate Selects player and current Austin Hun, Matt Radzavich was a standout in this match providing 2 big try saving hits from the sweeper position and finishing speed around the edges. Azul also enjoyed solid play from youngster Trevor Marunde also of Principia College, coming in for the injured Australian-native Blaine Miller at fly half. With great speed, ball skills and vision Blaine it was hard to see an equal replacement but Trevor provided outstanding defense and combined with Alex Liles and Mu Cabbell in the back line to create 2 late tries. After the dust settled Azul ended pool play at 2-1 earning a trip to Cup competition in the Quarterfinals to take on the well known Chicago Lions. The Lions won the Aces division in 2011 along with the $5,000 purse. The Lions started the match with great defensive structure, stringing together 5 or 6 phases moving the ball steadily down the field producing 2 tries and leaving Azul fatigued. A wakeup call made it to former Atlantis member Will Burns who led a swarming defense producing rare mistakes by the Lion’s for Azul to capitalize on running back 2 tries to end the half leading 14-10. Azul came out in the second half with tightened defensive splits, swarmed the ball producing several turnovers and eliminating off loads. 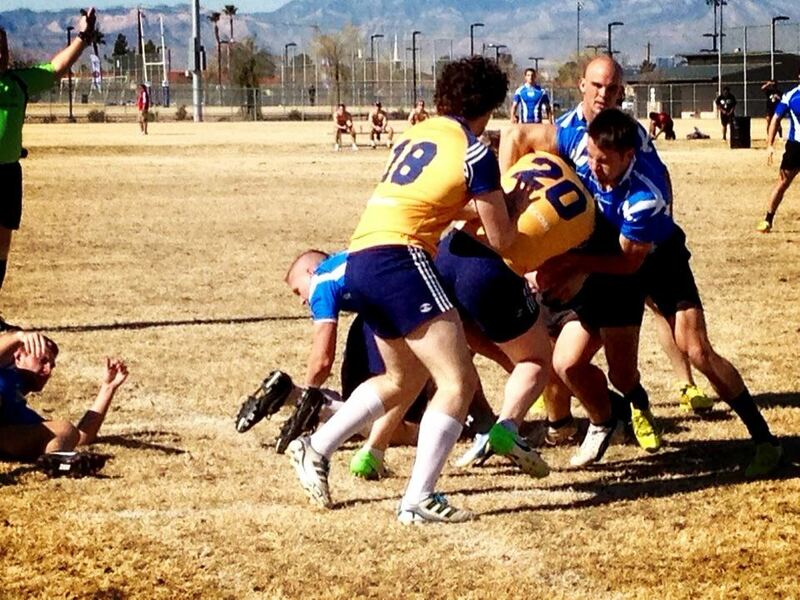 Alex Liles sealed the game win with Azul’s 4th try from a turn over resulting in a 26-15 win. Strong play off the bench came from former Maryland Exile & Bath rugger David Cerqueira, gaining hard meters and securing possession in the critical final minutes of the match. A hard fought win over the Chicago Lions in the Quarter Finals, 26-15, advanced Azul to the tournaments Semifinal match up. Azul was match up against a very balanced Northeast Legends squad on Day 3. After a brilliant run and try by standout 7’s specialist Matt Radzavich half-time had the NE legends up by a converted try. The second half saw the Legends take control winning convincingly 26-7. The Tiger Cubs opted not to take on Azul for the consolation match (3rd/4th) giving El Azul a very impressive 3rd place finish in the 2013 Las Vegas Invitational Tournament. Honorable mention was Shawn Cox, coming in at the scrum half position after his notable selection for the 2013 USA Maccabi Olympic team to play alongside former Huns Coach and player Dallen Stanford.